Great news for Lego/Minecraft fans in the South East. 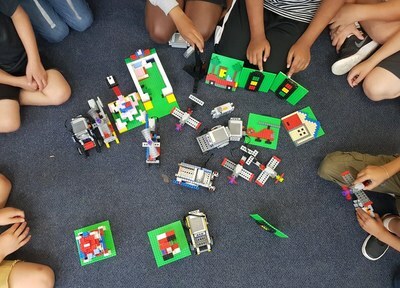 BRICKS 4 KIDZ® have moved into the Dandenong/Kingston areas and are ready to entertain your kids during the April school holidays. 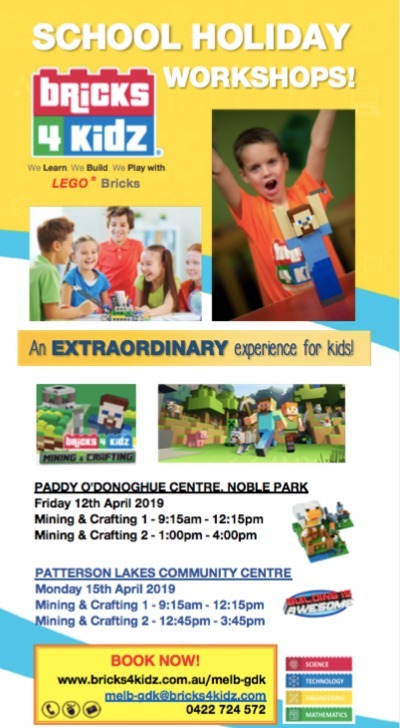 BRICKS 4 KIDZ® will host half day and full day workshops in the Easter school holidays, in which your kids will experience the wonderful world of Minecraft® and Lego®. There are two classes to be held in Noble Park and Patterson Lakes. Experience the world of Minecraft® with Lego® Bricks in BRICKS 4 KIDZ®' fun holiday workshop. Minecraft® is a game about using tools, materials, and placing blocks to build anything you can imagine. Kids will start by crafting some of the mobs, critters and tools using Lego® Bricks. Participants will face new challenges each session, building models and crafting key elements from the popular Minecraft® game. Are you ready for the challenge? Recommended for children aged 5 plus. Monday 15 April 2019 at the Patterson Lakes Community Centre, Patterson Lakes. 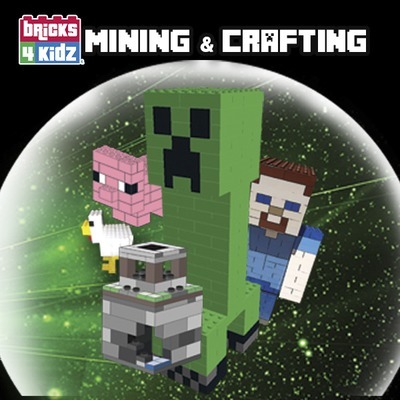 Book: Online or contact e: melb-gdk@bricks4kidz.com t: 0422 724 572.